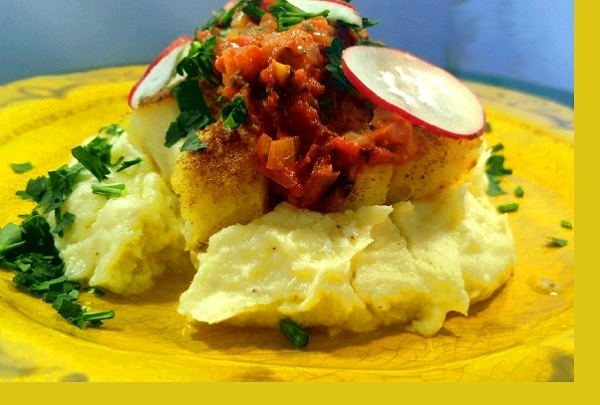 Fresh cod fish dusted in a curry ginger rub, pan seared, then baked and topped with a tomato ginger sauce and served over handmade parsnip puree. If you're searching for haute cuisine, look no further. Preheat oven to 350F. In a large skillet, coat with oil and heat on HIGH heat. Sear cod 2 minutes per side. Place in supplied 9x13 pan then bake for 15 minutes. 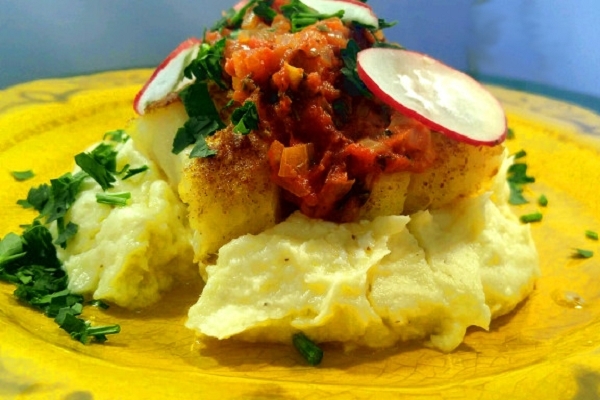 Reheat parsnip puree and tomato ginger sauce in microwave and serve.